The serial-liar and self-publicist, Boris Johnson, has called on Theresa May to save his vaunting ambition to become Prime Minister by acceding to his ridiculous demands. 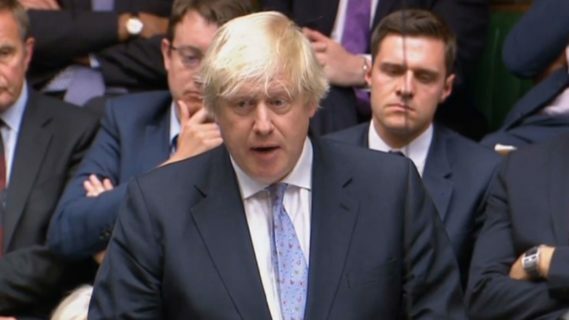 “Whiff-waff, whiff-whaff, ping-pong, fuzzy-wuzzy” said Johnson, addressing the House of Commons in a resignation speech this afternoon. The BBC said Mr Johnson’s friends were insisting he was not trying to emulate Geoffrey Howe, whose caustic resignation speech in 1990 is widely seen as having paved the way for Margaret Thatcher’s downfall weeks later. “No, Boris wants to be become Prime Minister by acclamation, ideally being driven by chariot up The Mall, throwing grapes to the assembled throng” said Brexiteer lunatic and Iain Duncan Smith stooge, Steve Baker MP. “Do you want anyone beaten up?” said Johnson.